Team section is one of the essential parts in most categories of websites, and it is a must for Business, Creative-agency, Startup, Corporate company, It farm, Software company websites and much more in this category. Usually, there needs backend coding, and it consumes huge times owing to construct a team section by adding members one by one including adding some styling properties. That's not a perfect approach specially if there is a probability of changing the members frequently. 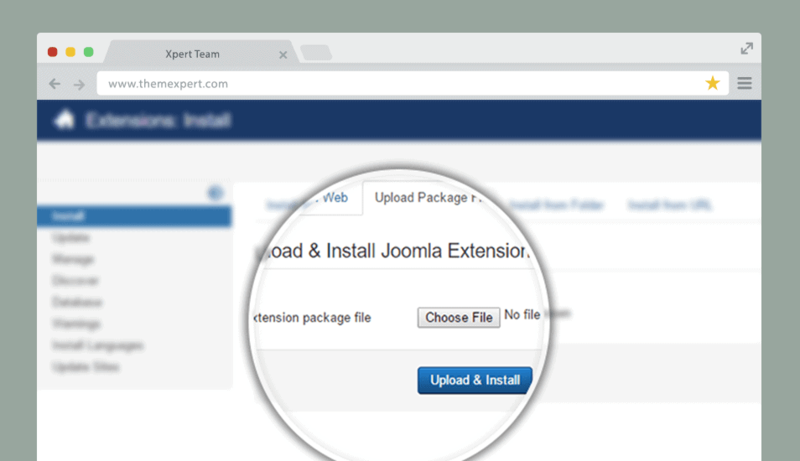 Our Xpert Team Joomla extension is able to make you get rid of this trouble by giving you the easiest procedure to take care all this from one place without even a single string of code. Don’t no coding? 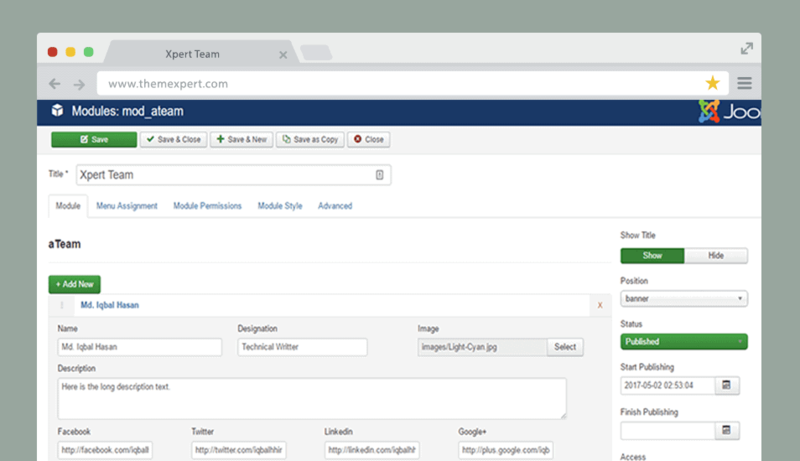 Still, do no worry, install Xpert Team and make your team as you love. Flexibility is completely in your hand. Let’s explore, what makes it superior toolkit for any web lover. Free of cost for a lifetime and much more. 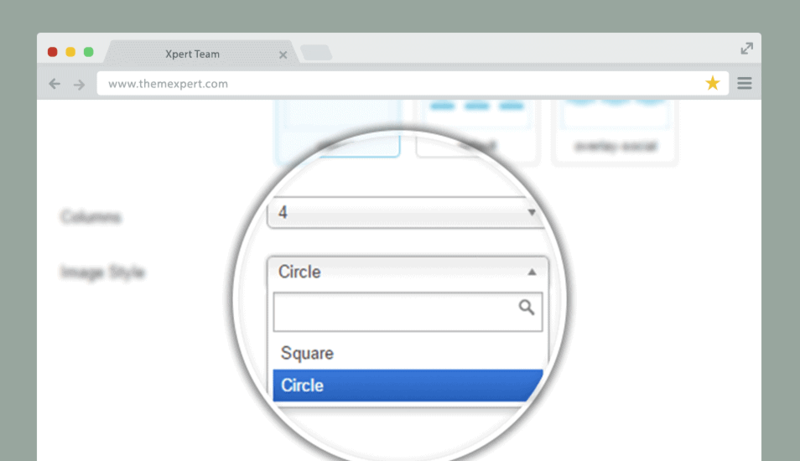 If you are worried about the installation as well as configuration process of Xpert Team, I would like to ensure you that Xpert Team provides you the most simple installation process ever. You won’t sweat configuring it as well. Only you need to perform a click in order to install it successfully, and follow a few straightforward instruction for configuration, no more hassle. To add new members is absolutely trouble-free. Just a few clicks to do so. Provide the member’s necessary information including his/ her social profile links, provide the details bio description, add an image and you are done adding a new member. At the same time, deleting an existing member is a matter of performing one click; just to click on delete button next to the member name. 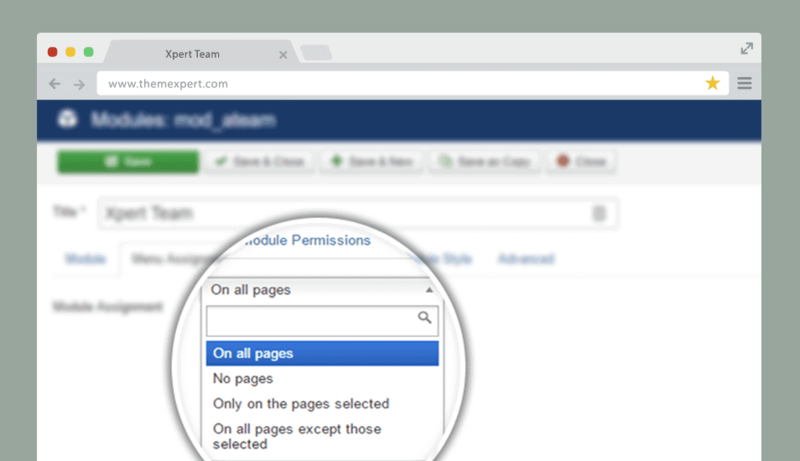 Showing your team members in any page is in your control. 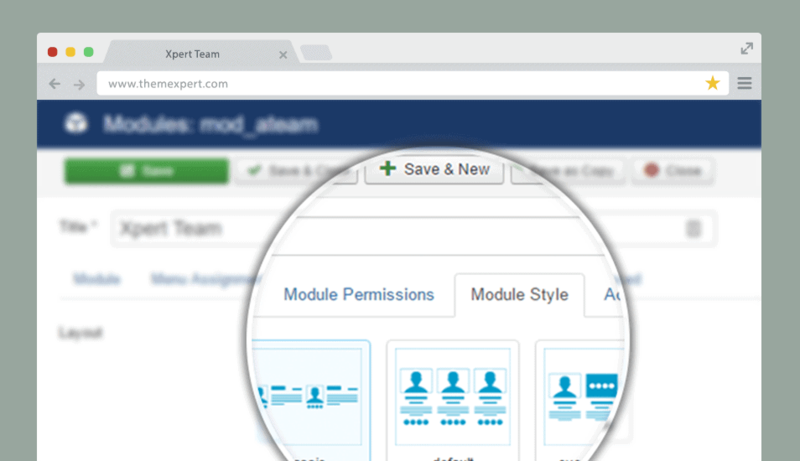 You can show the xpert team module on all pages as well as in particular pages in any position. In spite of the extension being installed, you can prevent it to show on any pages if you need. It will give you the complete access, and you can use it according to your preference. It has three built-in layout styles that you can apply on your module according to your best fit. So, you need not style it using backend coding hence it can highly save your time and let you focus on another works. 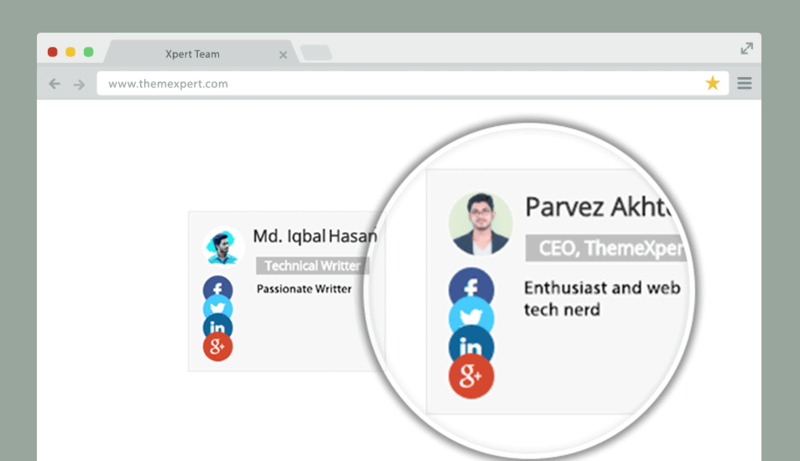 You can choose two different attractive styles for your team member’s image. Either you can select square style or circular style as per your best fit. It provides you the efficiency absolutely not to touch the coding part while built in all styles is exists to ensure your flexibly using it. The front-end appearance is absolutely neat and clean with the splash of absolute modernism. Therefore, it has the capability to make itself the best fit for all categories of websites with complete user satisfaction.